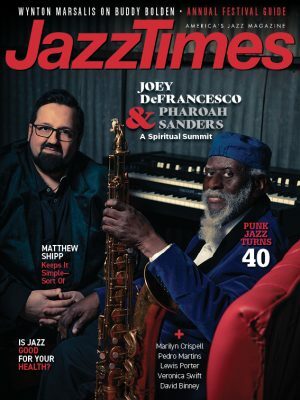 On an album with Chris Potter, John Patitucci, John Abercrombie and Bill Stewart, you expect the playing to be strong. You don’t necessarily expect blood all over the floor. One Hopeful Day, pianist Mark Soskin’s eighth album as a leader, hits with an urgency that many jazz sessions seek but few find. The opener, “On the Street Where You Live,” from the musical My Fair Lady, sets the tone. Soskin starts quietly, alone with the verse, but Stewart erupts and Potter clips off a dry, ironic version of the melody before blowing it out. 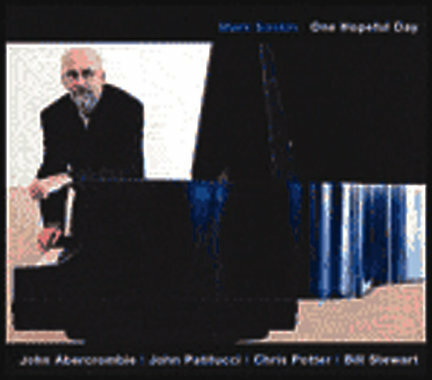 Soskin’s aggressive comping coalesces into a theme in unison with Potter, then the melody is pieced out between Potter and Patitucci. A long, thudding solo from Soskin follows, Potter comes back to smoke two choruses, Patitucci works out, then both of them wail the melody. Finally, Soskin and Potter catapult into a free contrapuntal celebration, until Stewart and Patitucci take it home, both hammering. It is one hip, hard version of Lerner and Loewe, wild within structure. Other highlights include a fiercely resyncopated Monk (“Bemsha Swing”), a title track that’s ostensibly a ballad save for Soskin’s steely touch, a jagged and swift “End of a Love Affair,” and “Step Lively,” on which Abercrombie certainly does.